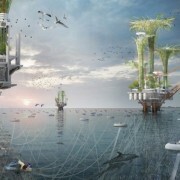 A Chinese design team recently rolled out a fascinating set of plans that creatively re-imagine oil rigs as floating, eco-friendly habitats that could help the environment recover after an oil spill. The designers created the plan in response to the increasing need to balance responsible resource-harvesting practices with preservation. In the renderings, we see strong, healthy branches towering into the sky alongside steel beams. 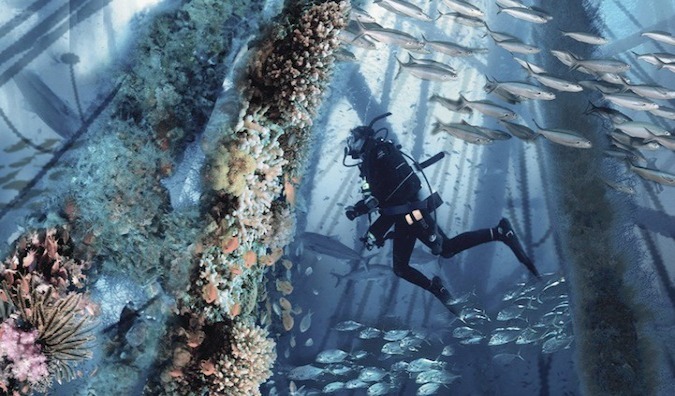 The underwater pilings that stabilize the rig become structures to host thriving coral reef colonies. In these ways, the Noah Oasisvisualizes using the industrial equipment as a vehicle for saving natural resources from harm, much as the Bible character Noah sheltered animals from disaster aboard an ark. 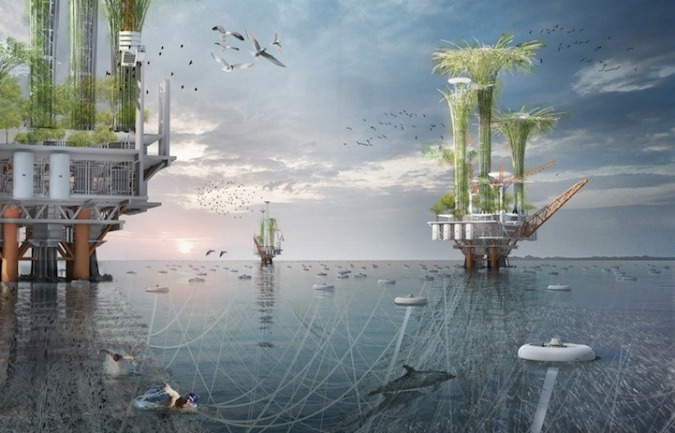 The plan was nominated honorable mention in eVolo Magazine’s 2015 skyscraper design competition. (source).